Plastic laminate partitions are constructed of high-pressure, 0.050" vertical-grade laminate finishes, bonded under pressure to a solid impact-resistant particle board core, meet or exceed all NEMA standards. Edge banding of all components prior to face lamination ensures optimum water runoff and durability. This product has a 5 year warranty. 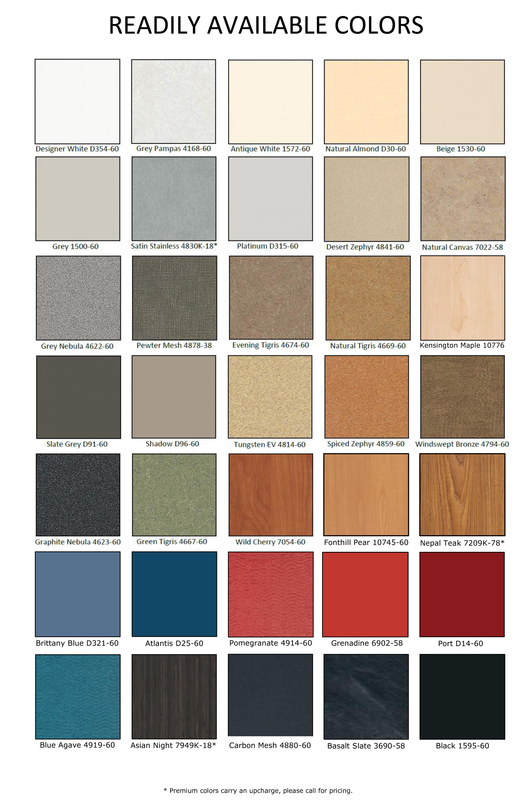 Plastic laminate partitions are available in all four mounting styles and a variety of designer colors to complement tile, vanities and counter tops. They are the finish of choice for commercial and institutional installations where aesthetics are essential and cost is a consideration. Moisture guard plastic laminate is new and works well with moisture areas.